I currently hold a joint appointment at the Associate Professor level in the University of Hawaii Manoa Asian Studies Program and the Center for Japanese Studies. Ph.D., Political Science. University of California at Berkeley, California, 1989. Dissertation: Zaikai and the Politics of Production in Japan, 1940-1962 (Committee Chair: Chalmers Johnson). 468 pp. M.A. (Hogaku Shushi), Political Science. Kyushu University, Fukuoka, Japan, 1979. B.A. with Distinction, Political Science and Asian Studies. University of Hawaii, Honolulu, Hawaii, 1974. Although trained as a political scientist in the fields of comparative political economy and Japanese politics, my work is grounded in interdisciplinary area studies approaches and focuses geographically on the East Asian region and the Asia-Pacific. In my research I am particularly interested in exploring how social processes and state policies interact in shaping contemporary Japanese society and its institutions, both historically and regionally. Topics on which I have written published books and articles include labor politics, state-business relations, and tourism policy. In my teaching and in occasional extra-curricular projects, I explore in a variety of ways the inter-connections and interactions among Asia-Pacific societies and cultures, both historically and in the contemporary setting. Associate Professor (Japanese Studies/Asian Studies). Center for Japanese Studies/Asian Program, School of Pacific and Asian Studies (SPAS), University of Hawaii at Manoa, Honolulu, HI, USA. July 2001 – present. Visiting Researcher. Faculty of Law. Kyushu University. Fukuoka, Japan. August 2002-January 2003. Assistant Professor (Japanese Studies/Asian Studies). 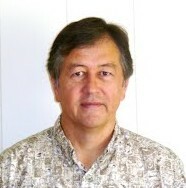 Center for Japanese Studies/Department of Asian Studies, School of Hawaiian, Asian and Pacific Studies (SHAPS), University of Hawaii at Manoa, Honolulu, HI, USA. January 1994- July 2001. Assistant Professor (Japanese Politics). Department of Political Science, University of British Columbia, Vancouver, B.C., Canada. July 1988-December 1993. Visiting Instructor (Japanese Politics, International Relations). Department of Political Science. University of Illinois at Urbana-Champaign, Urbana, IL, USA. August 1987-July 1988. Resident Foreign Scholar, Institute of Social Science, University of Tokyo, Tokyo, Japan. September 1984-August 1987. Divisions of Labor: Globality, Ideology and War in the Shaping of the Japanese Labor Movement. Honolulu: University of Hawaii Press, 2005. 292 pp. Coeditor with Mark Tilton. Is Japan Really Changing Its Ways? : Regulatory Reform and the Japanese Economy. Washington, D.C.: Brookings Institution Press, November, 1998. 219 pp. Translator. Contemporary Politics in Japan. By Masumi Junnosuke. Berkeley, Los Angeles, and London: University of California Press, 1995. 514 pp. “The Labor Movement” in Alisa Gaunder, ed., Routledge Handbook of Japanese Politics. London and New York: Routledge, 2011. Pp. 162-174. “The Evolution of ‘Area Studies’ in Japan: The Impact of Global Context and Institutional Setting.” In Terence Wesley-Smith and Jon Goss, eds., Remaking Area Studies: Teaching and Learning Across Asia and the Pacific. Honolulu: University of Hawaii Press, 2010. Pp. 71-91. “From Outbound to Inbound: Japan’s International Travel and Tourism Promotion Policy Rationales” in Hiroshi Itoh, ed., The Impact of Globalization on Japan’s Public Policy. Lewiston, Queenston and Lampeter: Edward Mellen, 2008. Pp. 175-192. “Rediscovering Enterprise Unions in Post-World War II Japanese Labor History,” Labor History 49-2 (2008): 228-234. “The Japanese Labor Movement and Institutional Reform” in Magnus Blomstrom and Sumner LaCroix, eds., Institutional Change in Japan.London and New York: Routledge, 2006. Pp. 177-201. With James Mak and Sally Dai. “Impact of Aging on Japanese International Travel to 2025.” Journal of Travel Research 44-2 (November 2005): 151-162. “The ‘Free Economy’ and the Developmental State: The Changing Ideology and Politics of Japanese Organized Business, 1965-1980.” In David Arase, ed., The Challenge of Change: East Asia in the New Millennium (Berkeley: University of California Institute of East Asian Studies, 2003). Pp. 91-112. “The Japanese Labour Movement’s Road to the Millennium.” In David W. Edgington, ed., Japan at the Dawn of the New Millennium(Vancouver, BC: University of British Columbia Press, 2003). Pp. 49-66. Source: Personal website. Please visit this site for more.